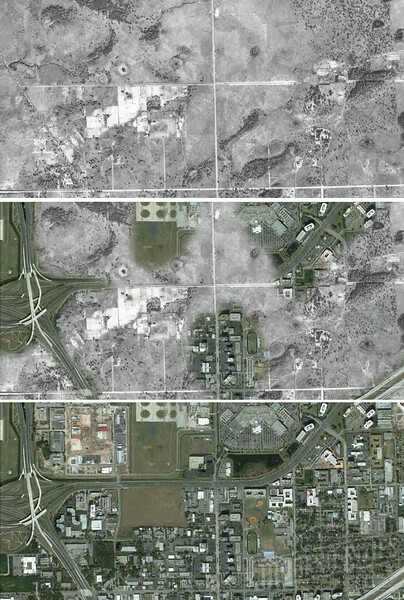 An interesting comparison of 1938 and 2016 aerials illustrating the impact of time and the construction of expressways through various sections of Tampa. Gandy Boulevard On November 20, 1924, George Shepard “Dad” Gandy, Sr. completed the Gandy Bridge, reducing the distance between Tampa and St. Petersburg from 43 to 19 miles. At the time, it was believed to be the world’s longest automobile toll bridge. 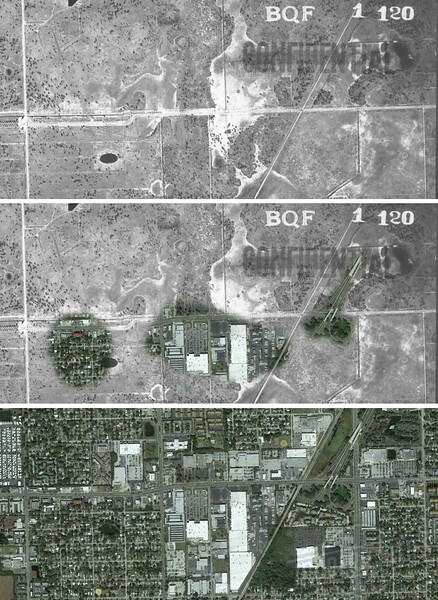 In 1938, a year before MacDill Air Force Base was established, there was not much to see on Gandy Boulevard, outside of Henry B. Plant’s railroad line serving Port Tampa. In 1976, the railroad’s crossing at Gandy Boulevad became the southern terminus of the Crosstown Expressway (now Lee Roy Selmon Expressway). CSX Uceta and Yeoman Yards Prior to their 1967 merger, the Atlantic Coast Line (ACL) and Seaboard Air Line (SAL) railroads operated railyards near Orient Park. On the north, the ACL’s Uceta Yard was established to serve as the railroad’s primary classification yard for Central Florida and included a locomotive repair complex. The SAL operated the Yeoman Yard, as its primary classification yard for the area, just south of Uceta. 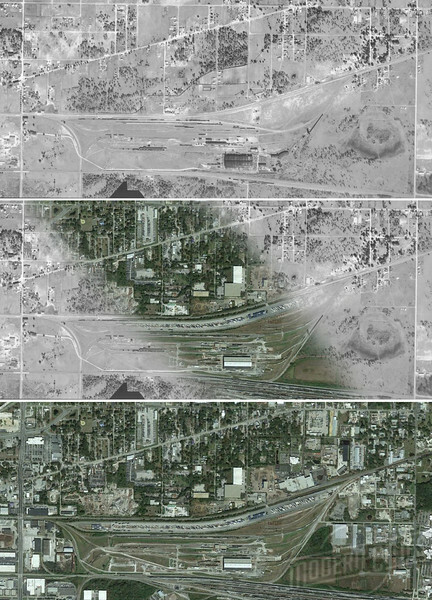 After the 1967 Seaboard Coast Line (SCL) merger, the facilities were gradually downgraded to storage yards and an intermodal facility. Today, they are owned and operated by CSX. Ybor City Ybor City was established as an independent cigar manufacturing town in 1885 by a group of cigar factory owners led by Vicente Martinez-Ybor. 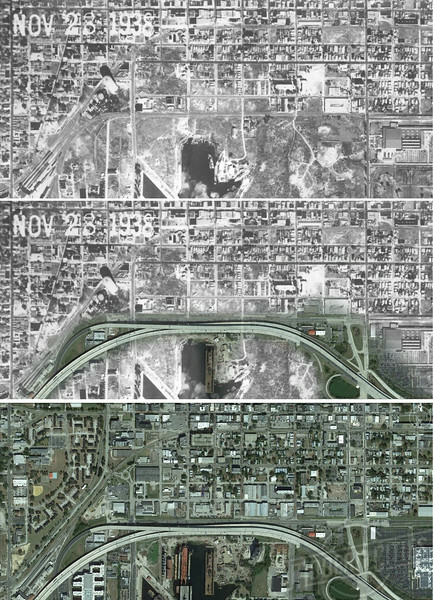 In 1983, an extension of the Crosstown Expressway between downtown and Brandon severed the district from the Ybor Channel. In 2006, elevated reversible lanes were added in the center of the expressway (now Lee Roy Selmon Expressway). Westshore Business District In 1938, what would become the path of State Road 60 and the main entrance to Tampa International Airport was nothing more than a country two-lane road. Today, it’s a major thoroughfare through the Westshore Business District that connects the Veterans Expressway to I-275. 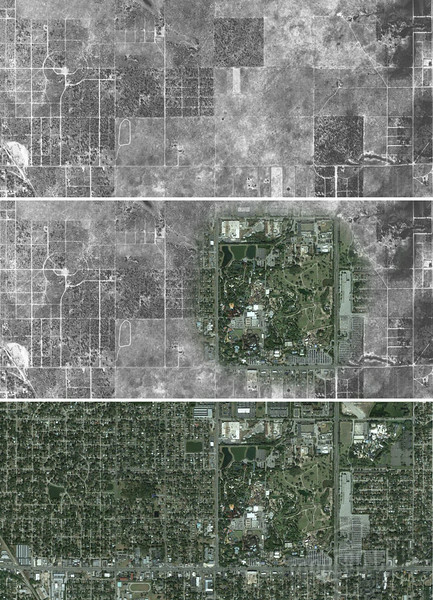 Busch Gardens 20 years before the grand opening of Busch Gardens, the growth of Sulphur Springs was in the early stages of advancing north of Busch Boulevard. In 1953, the area was annexed by the City of Tampa.